Every fleet manager, who manages a medium to large sized national or international fleet, knows how important it is to keep fleet data organized, up to date and accessible. People often think that fleet management is about owning, leasing, maintaining and selling cars, but most of the time we never see and touch any of the vehicles that we manage. As the fleet manager is responsible for the overall performance and efficiency of a fleet, an excellent data basis is key in order to make the best decisions and reduce cost. That’s why fleet management is basically about having the most accurate data at hand. But as important as the quality of the data is its accessiblity. So make data integrity your first objective and put an easy-to-use user interface on top. It will make sure that people receive their desired data when they need it and structured as they need it. It's no secret that a vice president needs data in a completely different way than a driver or a supplier. As we know this, we can act accordingly and fulfill challenges quickly. In this article we outline how data management affects specific aspects of a fleet manager’s daily work and why this topic builds the basis for successful fleet management. First we need to clarify what type of data we are talking about and where it comes from. At the beginning all information is distributed across several parties, the most common are suppliers, drivers and HR. Leasing companies, fuel card provider, insurance provider or accident manager are the main authorities in order to gather accurate contractual information and all ocurring costs. More sensitive information like personal data, company grades, eligibility, starters and leavers needs to be provided by HR on a constant basis. Depending on how the processes for the delivery or the return of a vehicle are set up, the driver will provide important information. After gathering all required information the actual work begins. You'll notice that data arrives in a lot of different formats. The goal is to consolidate and automate as much as possible. At this point you will need some IT input in order to build a solid data model. This task is a classic Big Data challenge as you will connect all available information into one big graph. The result should enable you to find, edit, extract and aggregate data easily during the daily business. The following list describes the most important techniques, that need to be considered in order to maintain an excellent representation of the fleet data. The usage of sophisticated ETL technology ensures that you are able to process any incoming data. As not every supplier provides vehicle information in the same format and on the same quality level, you need to be able to clean and enrich it before importing it into your data center. Make sure the data is validated and checked according to pre-defined plausibility rules before the import. Even big leasing companies provide wrong or incomplete data from time to time. Use OLAP (Online Analytical Processing) in order to generate reports based on cubes that represent your live fleet data. If you take care about incoming fleet data you are half way done. Always remember that your daily operations can only be as good as the underlying data. 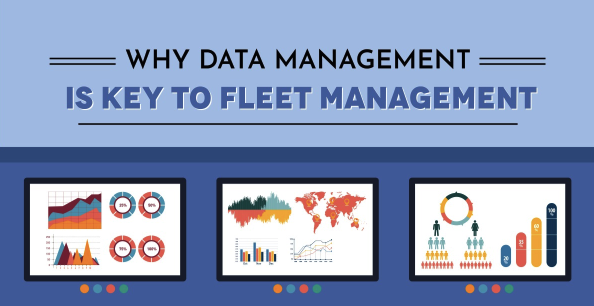 As soon as data management initiatives reach the top level, fleet managers will experience numerous benefits, that we try to summarize in the following. We distinguish the benefits between the strategic and the operational part. A fleet manager always has a focus on the daily business, therefore changes and optimizations in the operational part will be noticed immediately. On the other hand strategic enhancements will most often result in financial savings. An excellent data basis builds the foundation to automate as much as possible. Consequently the main advantage for a fleet manager is to replace manual tasks with fully or semi automated solutions. 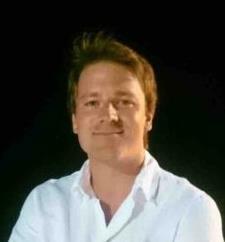 Therefore processes need to be designed and implemented with a strong focus on data. The result is a data-driven fleet management approach to simplify the daily work of a fleet manager. The more data you have digitally available and accessible the more likely you are able to run processes in the cloud. Your Fleet Management System should assist you at this point by taking care of deadlines, reminders and the overall process lifecycle. This is how a fleet manager can save loads of time and have a constant overview about ongoing processes like deliveries, returns, accidents, pool car assignments, etc. By integrating all process actors into a cloud-based process you can go even one step further. It will reduce email conversations and incoming calls by at least 20%. Analyze the daily work routines and you'll identify procedures that are still done manually. Manual work is always a source of failure, that we can avoid by setting up automated solutions. For example, if there is a form, containing driver information, that you fill out by copy & paste, it's a candidate to be automated. Simply connect the form to your solid database and let the system do the rest. As a result you save time and avoid human errors. If you find several tasks like this and you try to automate them as much as possible, all the minutes you save will turn into hours at the end of the month. A big chunk of a fleet managers work is to provide and exchange information. Whenever a driver, supplier or dealer calls there is a request of information. Answering these requests can be a time consuming endeavour. Depending on the fleet size, the call volume can be quite high. This is the time to utilize your well structured fleet data to implement a pro-active information policy. That means providing relevant information before someone asks for it. It implies that you know your processes inside out, because then you know in advance which questions will be asked. Ultimately this puts you in the position to automate the distribution of information and content at the right time to the right people. In order to unleash strategic benefits of an excellent data management within your fleet you need to extend the time horizon a little bit compared to the operational part. It might take longer to get insights on where your fleet KPI's are going. Nevertheless, the following benefits will give you the opportunity to optimize your fleet from a financial perspective. We call it Big Data for Fleet. Basically it means that the more datapoints can be connected to each other, the more insights a report can give. For example, you can connect fines with accidents and fuel consumption to gather deeper knowledge of driver behaviour. But there are hundreds of ways to get more information out of raw fleet data. In most cases there is an ongoing request by a fleet manager or vice president for monthly/quarterly KPI reports. Having all data in place enhances your reporting capabilities as the report generation is way faster and more accurate. Based on the previously described enhanced reporting opportunities you can improve your decision making by having the best data available. Especially decisions regarding the financials of your fleet should be backed by data. For example, if you think about including or excluding a specific supplier, you need to know exactly how they perform in comparison. Appropriate reports will lead to a better decision making process for your overall fleet. The more advanced your data analysis is, the more savings potential you can identify. In order to do so, we recommend something like data mining. It helps to find patterns within your comprehensive fleet data. As an example, you could search for patterns to reduce expensive contract end charges. By connecting driver behaviour for a specific company grade to historical contract end charges, we were able to identify drivers with higher probability of expensive end charges. If you know this early enough, you can take appropriate actions to reduce the costs significantly. Almost any action you take as a fleet manager relies on data, so treat it like one of your most valuable asset. Any compromise you make in terms of data quality returns to you sooner or later at a moment when you absolutely have no time to fix data issues. We know it takes a little bit more work upfront to set up sophisticated data management processes to run a first class fleet management service, but it will be worth it. At Fleets International Enterprises (FIE) we manage company car fleets of all sizes in different industries across multiple countries. Constant evaluation and improvement in data management has been key to an increased efficiency. Our experience has shown that investments in data management pay off, as they enhance processes and drive automation. Further it provides insights to explore savings potential together with the clients. Talk to us, if you are experiencing data management challenges within your fleet.